Roughly 550 square miles - The Tropical Paradise of KAUAI! 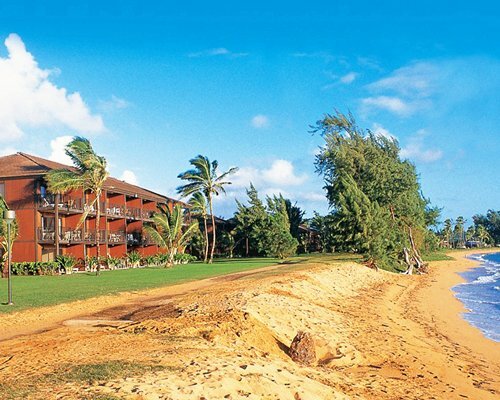 Set on the beach on the eastern coast of Kauai is Pono Kai. Here the average annual temperature is a balmy 70 degrees. Relax by the resort's outdoor pool or the beach. 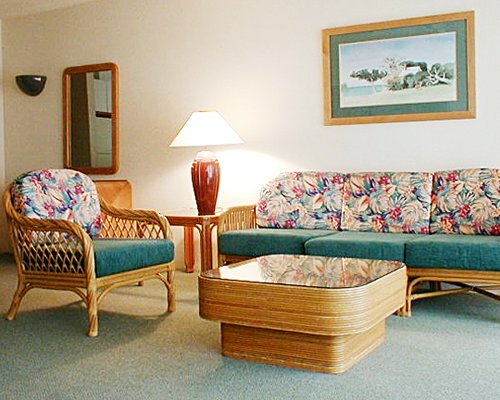 On site you'll find shuffleboard, tennis, volleyball, and croquet. Nearby you will find a superb golf course. For more action, head offshore and try surfing, snorkeling, boating, or fishing. Kauai is called the Garden Isle because of its lush vegetation. Tours of the island will take you past many beautiful beaches, lava rock grottos, and breathtaking viewpoints.